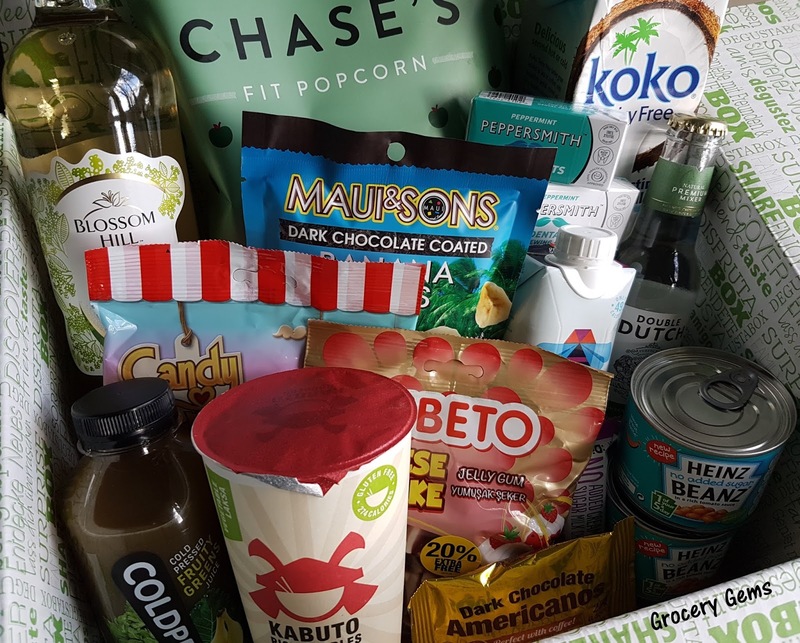 The February Degustabox arrived at the end of the month and as always it was super fun opening up the gorgeous box to find out what's inside! Last month's box (read here - Degustabox January Review) was filled with an ecclectic variety of snacks and drinks and I was pleased to find that February was just as mixed. Overall, it's a great selection of groceries and once again there are several which are new to me. Blossom Hill Fruit Bloom: Hello! 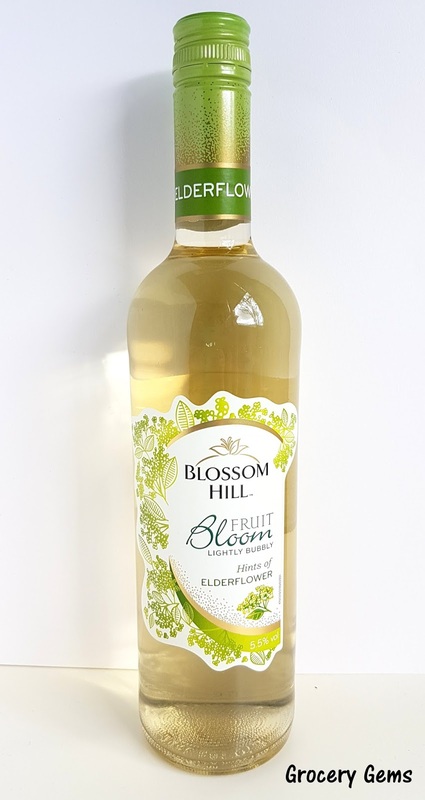 A full bottle of fresh and fruity Blossom Hill Fruit Bloom in Elderflower flavour (there's also a Summer Fruits flavour available). I love elderflower flavoured drinks so this is very appealing. 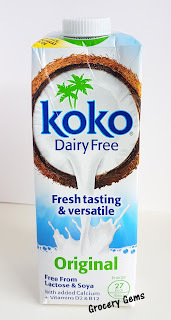 Koko Dairy Free: I don't drink cows milk so I'm quite familiar with all the dairy free brands out there. I usually go for almond or oat based milks so this alternative milk made with freshly pressed coconut makes a nice change. It's creamy tasting and works well in tea and coffee. 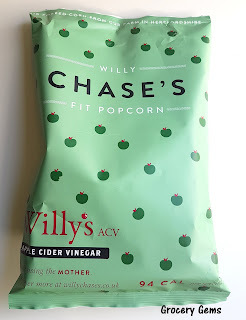 Willy Chase's Popcorn: This Apple Cider Vinegar flavoured popcorn from Willy Chase's was one of my favourite products in the Degustabox. 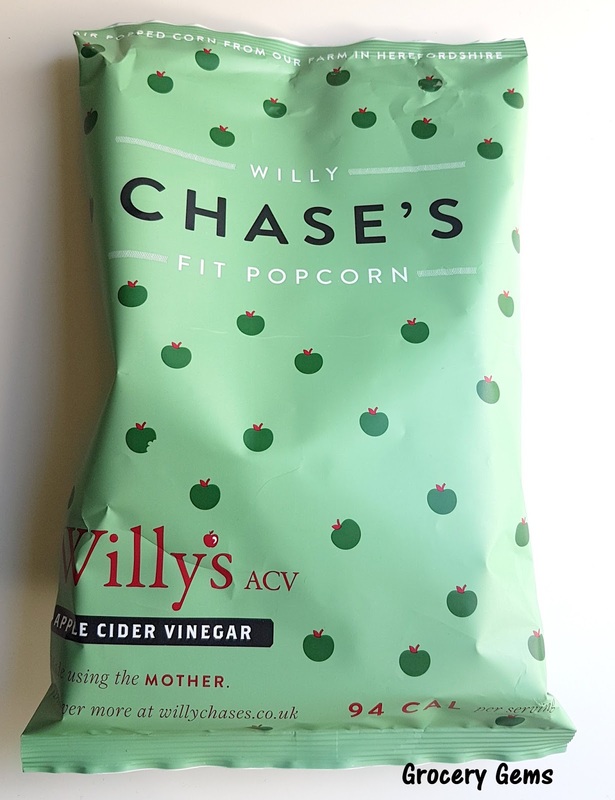 I enjoyed the grown-up flavour which had just the right amount of tangy vinegar. 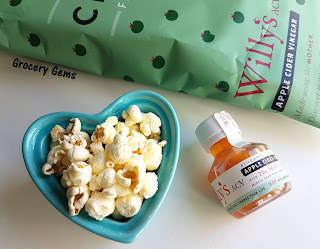 Also pictured is a free sample of Willy's Apple Cider Vinegar which was included as an added extra in the Degustabox. 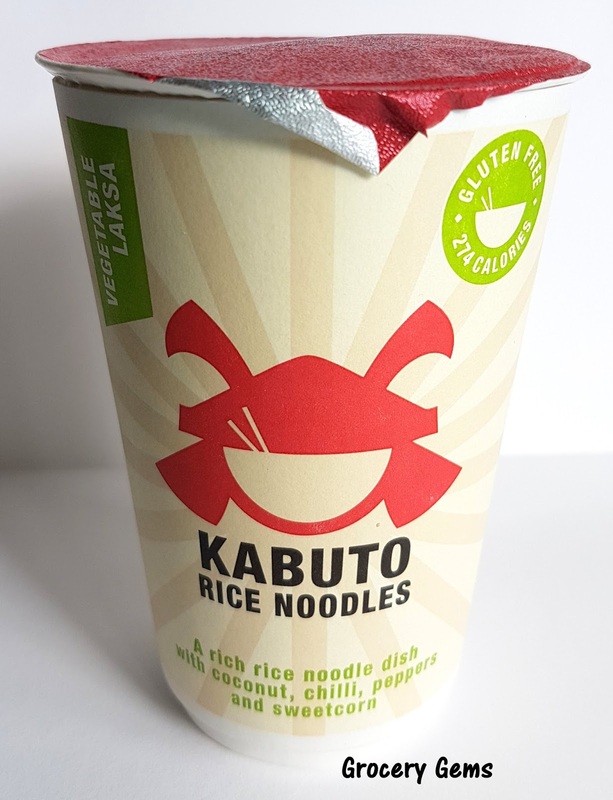 Kabuto Noodles: This Vegetable Laksa flavour is inspired by the warm coconut dishes of Malaysia. 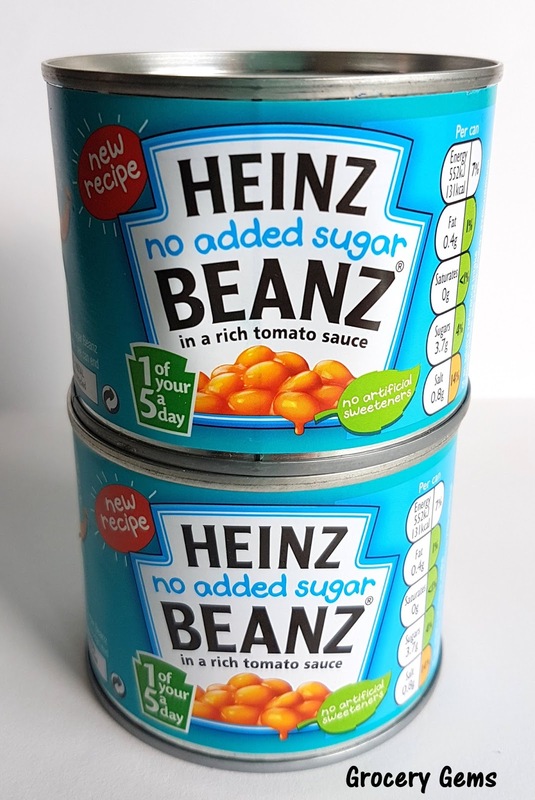 It's gluten free, suitable for vegetarians and free from additives or preservatives. The flavour is a lot fresher and more natural tasting compared to other dried noodles pots out there. Coldpress Fruity Greens Juice: Coldpress juices are, rather obviously given the name, cold pressed rather than heated, which preserves more of the flavour and vitamins. 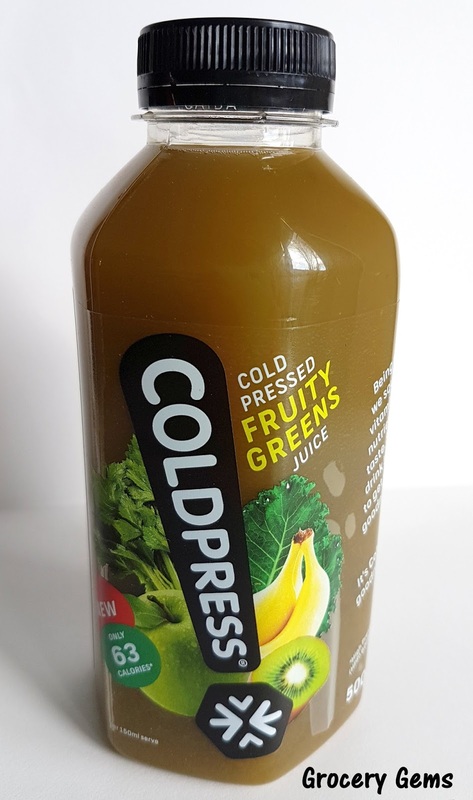 This Fruity Greens juice is a 100% fruit and vegetable juice made with apple juice and puree, celery, banana puree, kiwi fruit puree, kale juice and spinach. The balance of flavours is spot on with the fruity sweetness not being overwhelmed by the vegetable juices. It's lovely and sweet overall. 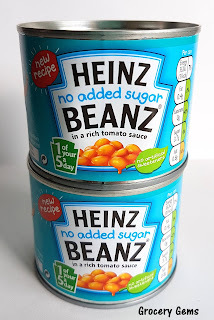 Heinz: Two single serving cans of Heinz No Added Sugar Beanz. These are made with 50% less sugar but still have the same great taste. I like the hand little serving sizes too. 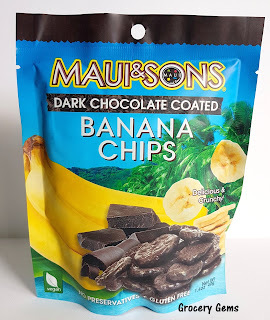 Maui & Sons: I'm already a fan of the Maui & Sons Coconut Chips so I was excited to find the Banana Chips in the Degustabox. They're dark chocolate coated banana chips that are suitable for vegans. I enjoyed these but I would have liked the banana flavour to be a bit stronger. However, I'm looking forward to try the suggestion of using these as a yogurt or ice cream topping! New York Delhi's Americanos: New York Delhi's are known for their snacks and flavoured peanuts. 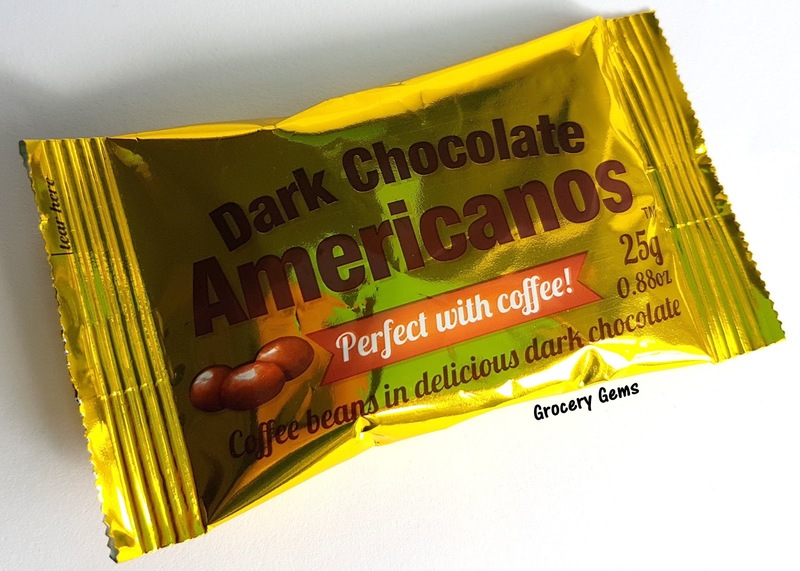 Their Americanos are quite different, made of Guatemalan coffee beans that are roasted and covered in dark chocolate. This is not really my thing to be honest. 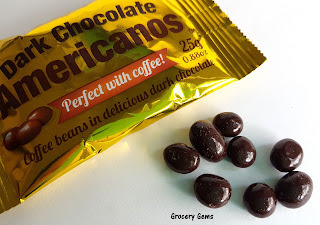 I don't like chocolate and coffee combinations at all but especially not coffee beans. These are very much for lovers of intense coffee flavours! Just Bee Honey Water: This is a new one to me, I've certainly never tried honey water before. 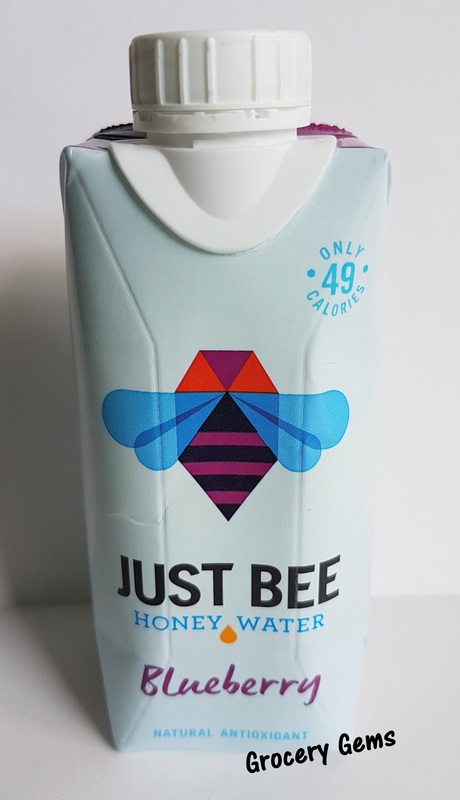 It's a simple combination of spring water with a drop of honey and flavoured with blueberry puree. The drink is 91% water so it's very refreshing and light. The blueberry flavour comes through strongly as does the sweetness from the honey. 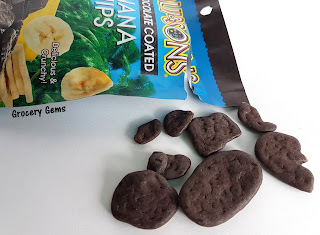 Diablo: A no added sugar chocolate coated wafer. 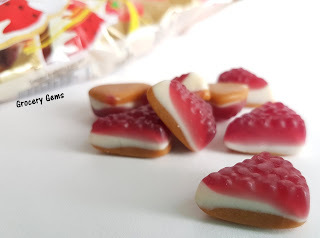 It's made with the sweetener Maltitol instead of sugar. 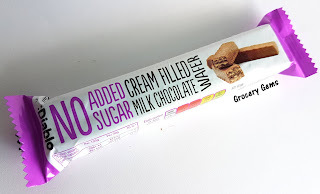 The brand it available at Holland & Barrett and it's a tasty treat for anyone needing to cut down on their sugar consumption. 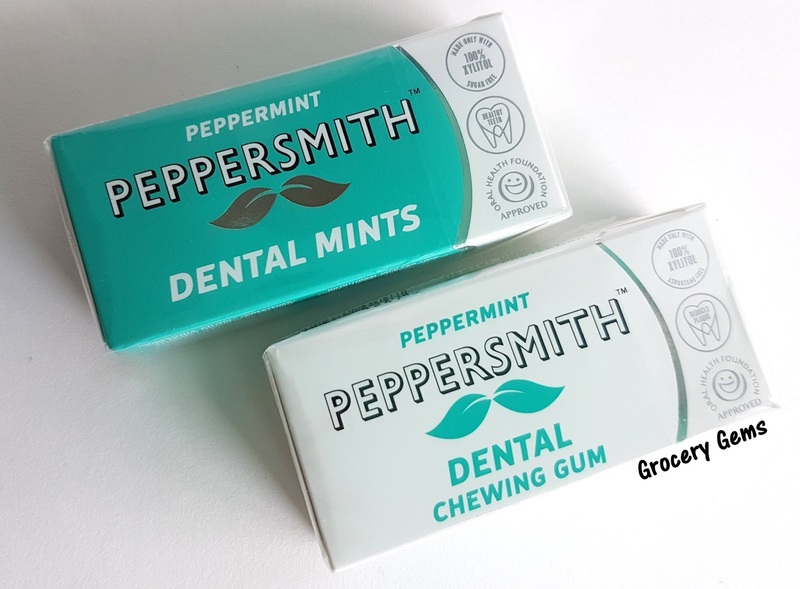 Peppersmith: A pack each of Peppersmith Dental Mints and Dental Chewing Gum. They're made with xylitold to protect the teeth and keep your mouth fresh. I especially liked the chewing gum which has a fresh and zingy mint flavour. Bebeto: The Degustabox Product of the Month is Bebeto and it's fun candy shapes. 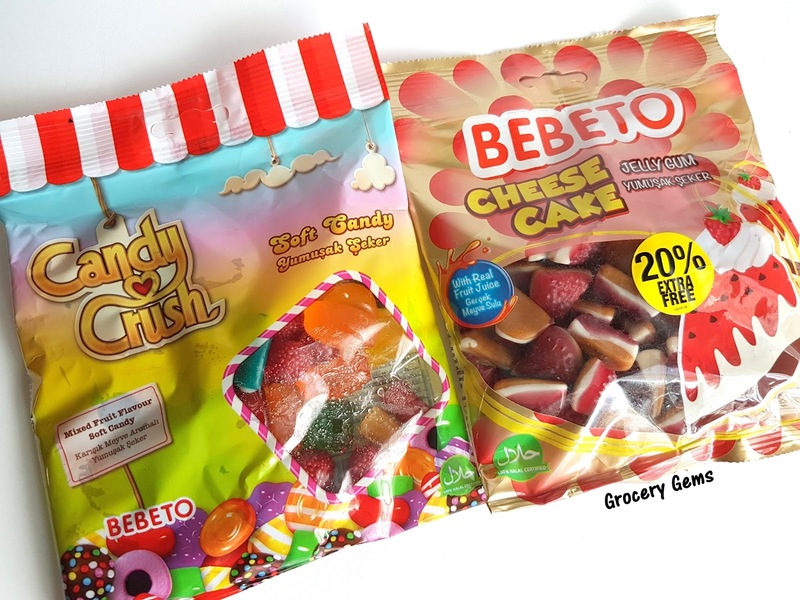 There are two packs in the February Degustabox; the Bebeto Candy Crush Gummy Mix and the Bebeto Cheese Cake Gummies. It's a cute selection! Overall I was pleased with this month's surprise selection from Degustabox. I especially enjoyed the Willy Chase's Popcorn, Maui & Sons, Bebeto and Coldpress juice. 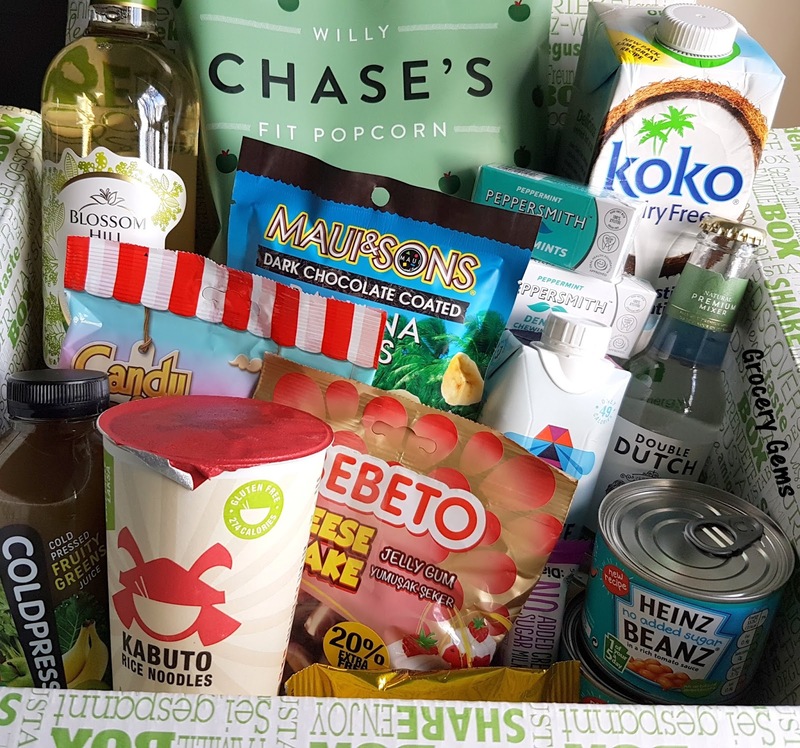 If you're a subscriber then I'd love to hear your thoughts on this months Degustabox selection in the comments below. I love getting surprise boxes in the mail. Always brightens my day when it's not a bill and even better when it's something I can eat! The popcorn looks really nice. Love the packaging too!